Nordic Adventure, Part 9: The Blue Lagoon – Sunshine. Whimsy. Tacos. 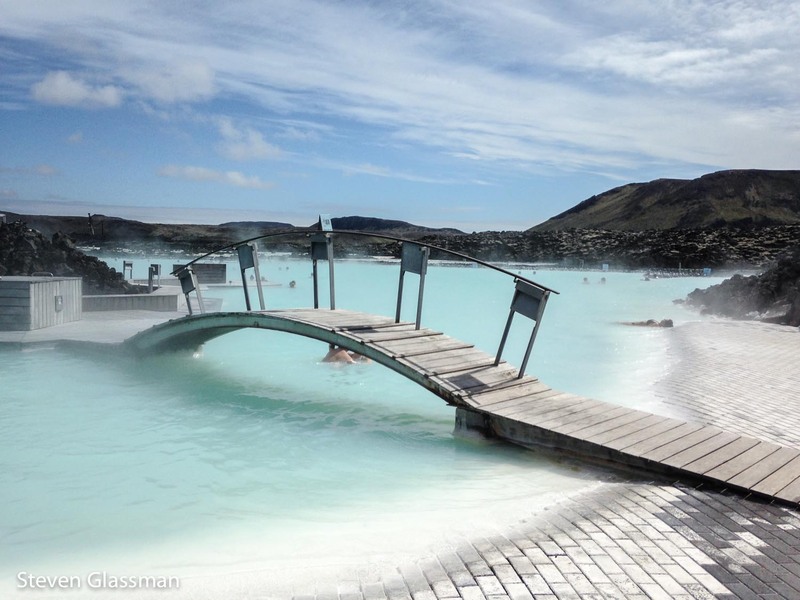 One of Iceland’s premiere tourist attactions is The Blue Lagoon, a geothermal spa in a lava field. It’s not far from the airport, and many people choose to stop there either on their way to or from the airport. I chose to go there from the city, but I can see the appeal of combining this with your flight. 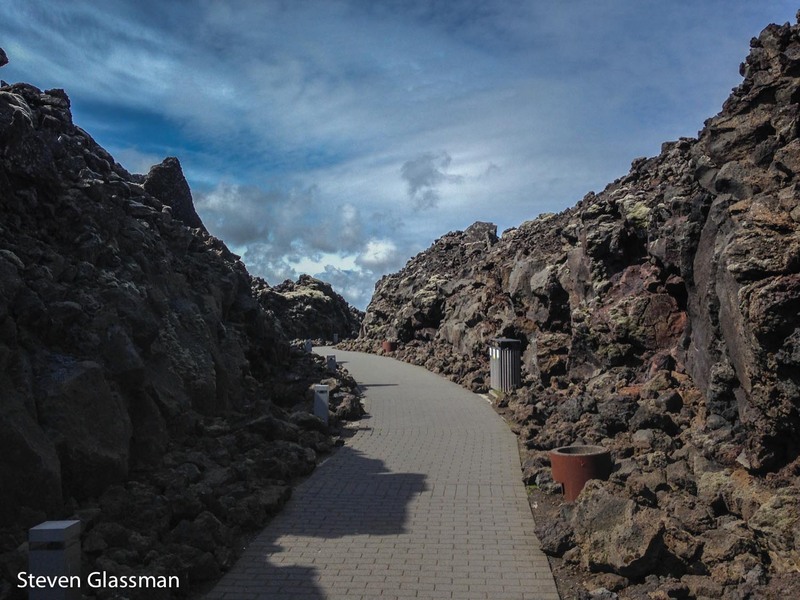 Once you arrive, there’s a small building where you can store your luggage if you’re in transit, then you walk through a path carved into the volcanic rock. Once you arrive, you pay your admission, then go change into a swimsuit. If you didn’t bring one, don’t worry- they’ll rent you one for a small fee. Also on offer: Bathrobes, spa treatments, and massages. 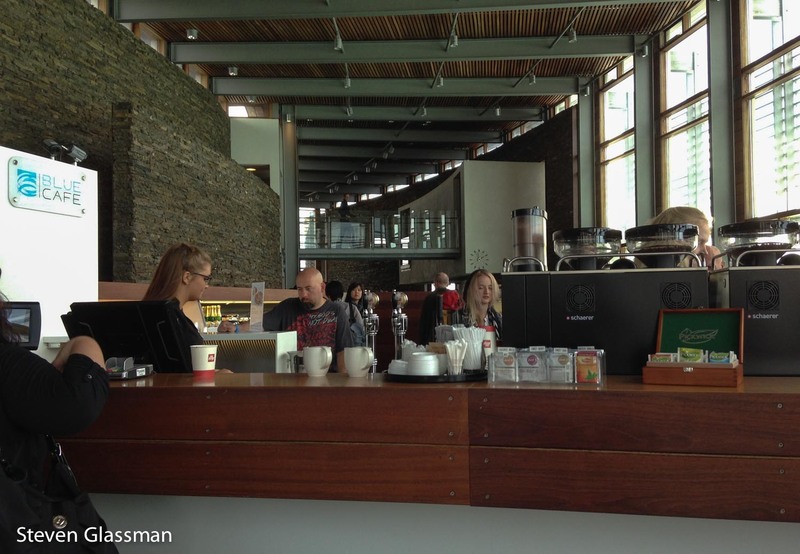 The building in this photo is one of two or three places to get food and drink in the Blue Lagoon. 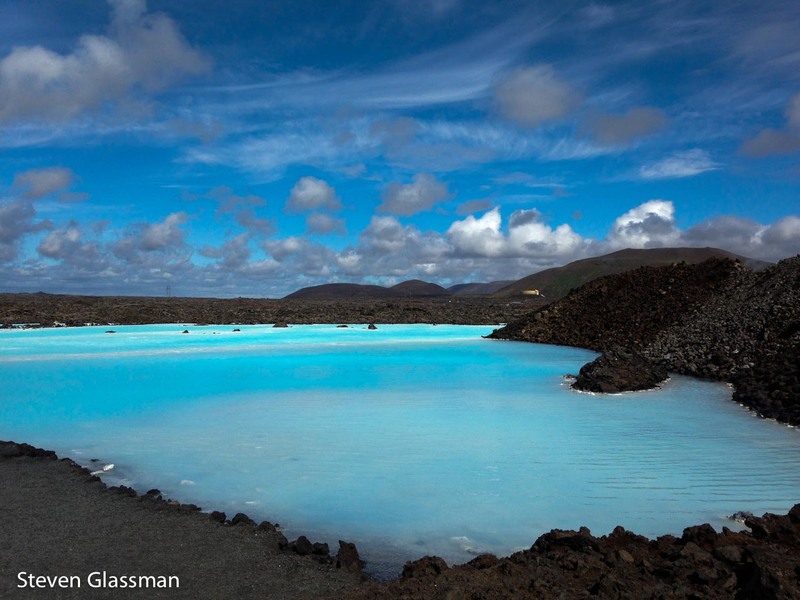 The lagoon is man-made, and is fed from a nearby geothermal power plant. The entire body of water is renewed roughly every two days. The water is heated to around 98–102 °F, so there’s always steam coming off of the water. There’s a swim-up bar where you can get a beverage. I had a rather tasty smoothie. The water is rich in minerals such as silica and sulfur, and has been shown to have positive effects for skin problems like psoriasis. Lots of the people in the water had used the silica mud from special pots around the bathing area to make little clay masks. It’s supposedly very good for your skin. Once you’re thoroughly prune-fingered, it’s time to get out and get something to eat. I had a nice panini sandwich at the Blue Cafe. 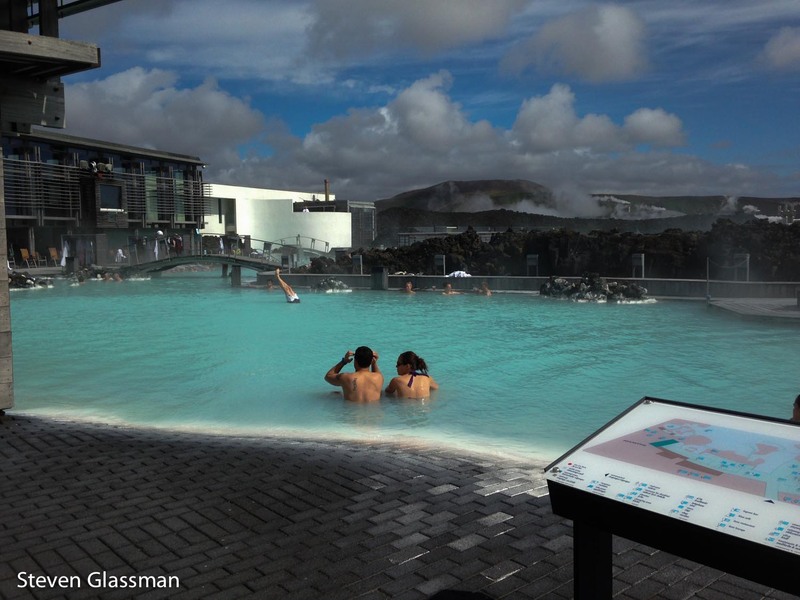 As you’re leaving, you have one last chance to look at the crystal blue waters of the Blue Lagoon. 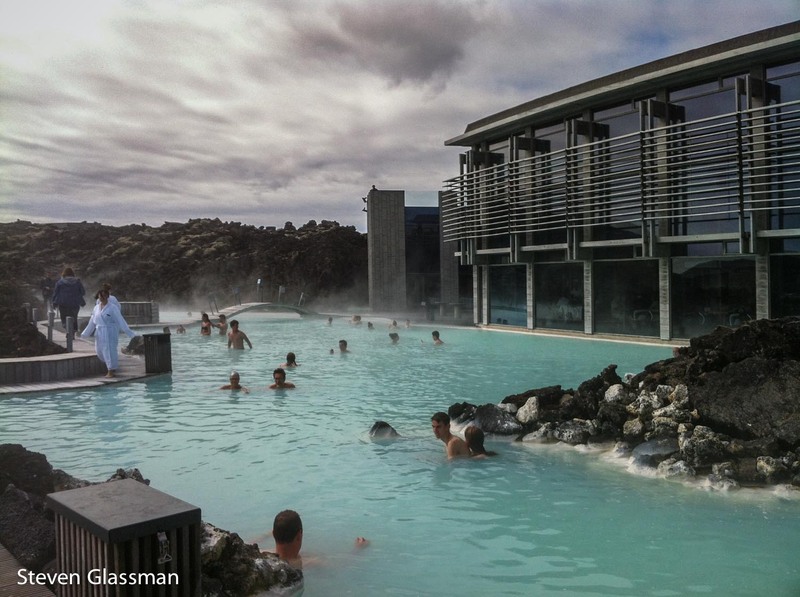 Have you ever been to a geothermal spa? Oh! I wondered if you’d gone there! My late husband brought me various products from Blue Lagoon, such as scrubs and mineral compounds, and a sort of loofah sponge. He was very intrigued with the place. Come to think of it, he never said whether he’d actually soaked in the spa! Gosh hitting all the good spots before you go! Heck yeah! I wanted to travel as much as I possibly could before I head back to the States. I have a lot of good stuff coming up on the blog, and one final outside-of-Germany trip before I go. This place was probably the reason the phrase “I want to go to there” was coined. It was really very nice. Relaxing. It’s actually a wee bit touristy, but it was still very nice. We lived literally a few minutes away from the Blue Lagoon at NAS Keflavik, we visited it several times during our 2 year stay. I agree it was a bit touristy but fun to take our family to see it. omg that was beautiful. I’m so going to that if I go to Iceland next year.